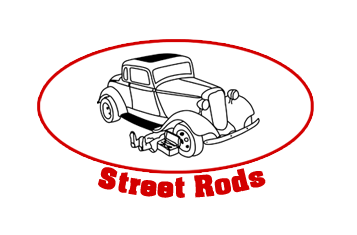 Cedar Valley Street Rods became an organized club in 1975. Our first club event took place at the Street Rod Nationals in Memphis, TN. It began as a family oriented club that for many years hosted the Eastern Iowa Rod Run. It later became known as the “Cannonball Run.” There are still charter members active in the club today. These members have seen our club move from a “let’s have fun” attitude to a more community service minded organization, while still having fun with our cars. Each of us comes from a different walk in life, yet the one thing that we all have in common is this love and appreciation of cars. If you happen to share that same love, you are invited to join us. While originally limited to members with 1948 or older street rods, our club is now open to all modified cars no matter the year. Cool cars with beautiful paint jobs, modified bodies and engine parts is only a small part of who we are as a club. We range in age from 20 to 70 year olds. We meet every other month to discuss different opportunities that will get our cars out of the garage. It might be a car show in town, another city in Iowa, or a venture to another state. We also plan other activities such as garage tours, cruises, steak fries, progressive suppers, mystery cruises and supporting non-profit organization fund events, as well as a variety of activities that are interactive with other car clubs. Our annual year end banquet is a great time to recall the last year’s activities and look forward to the next year. Other meeting topics include planning a big fund raiser for Camp Courageous, a day at the drag strip, discussing buy, sell, or trade items, or sometimes having a good laugh at some crazy thing that someone did. Our meetings are also a good time to share pictures and highlights of previous events.